Parking: Car parking available to the rear of the property. 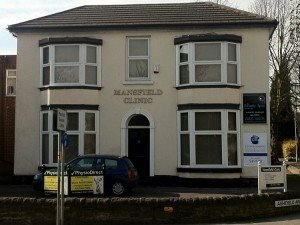 This practice is situated close to Mansfield city center on Woodhouse Road. The clinic offers two treatment rooms and a comfortable reception area while you wait to be seen by the physiotherapist. There is plenty of off street parking to the front and rear of the building where parking bays are clearly marked out. 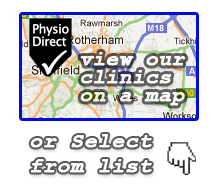 The clinic is located on the Mansfield Woodhouse road and St Peter’s Way junction (A6009). Noticeable landmarks in this location are the Office Supplies building next door and the Boothys Social Club opposite. 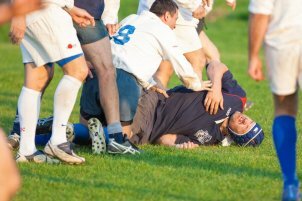 Phil completed a diploma in sports science and sports injuries at Nottingham Trent University in 2001, before moving to Northumbria University, Newcastle and graduating as a physiotherapist in 2004. Upon completion of his degree he worked on a part-time basis for a North East semi-professional football team, and then joined the NHS where he completed 9 months working in the musculo-skeletal outpatient department before joining PhysioDirect in May 2006. 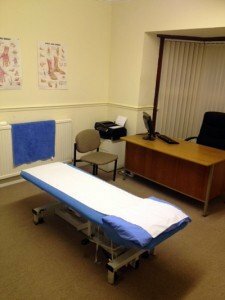 Philip specialises in the treatment of musculoskeletal problems involving spinal and peripheral joint pain and sports injuries, using manual therapy techniques together with acupuncture.